Currently Featured in... Quilts and More! 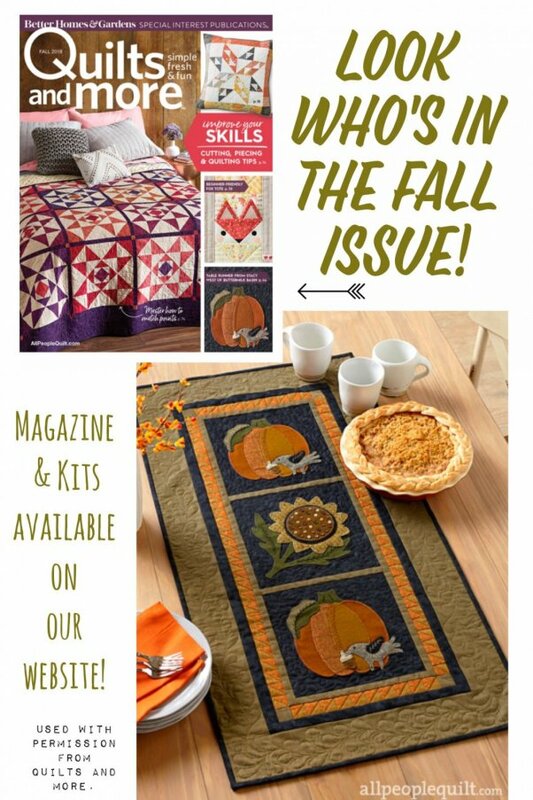 We are thrilled to have a project in the Fall 2018 issue of Quilts and More! 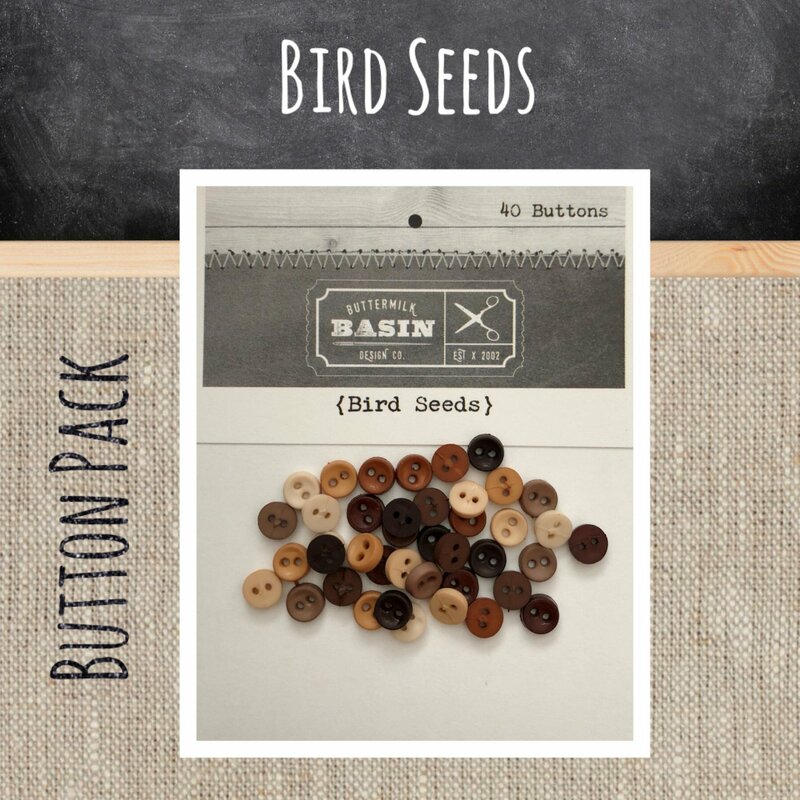 We will have magazines and kits available for you to purchase! Stacy was previously featured in the October 2017 issue of American Patchwork & Quilting! Our Project we designed just for you! 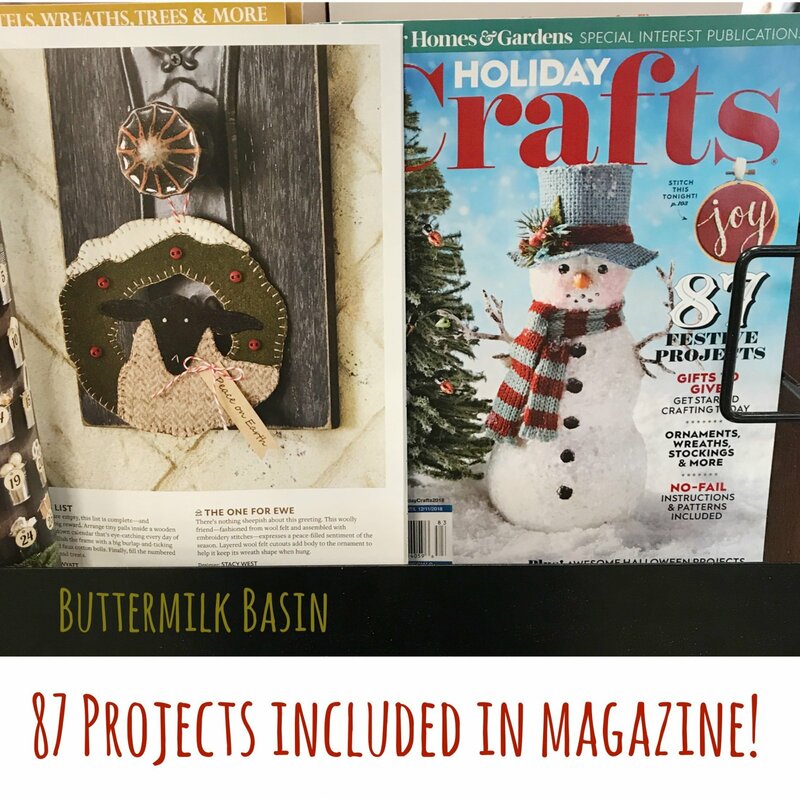 Get this year's Holiday Crafts magazine from us! Our popular Peace on Earth ornament is in the magazine, as well as well as 86 other projects for fall, Halloween, Christmas and winter! 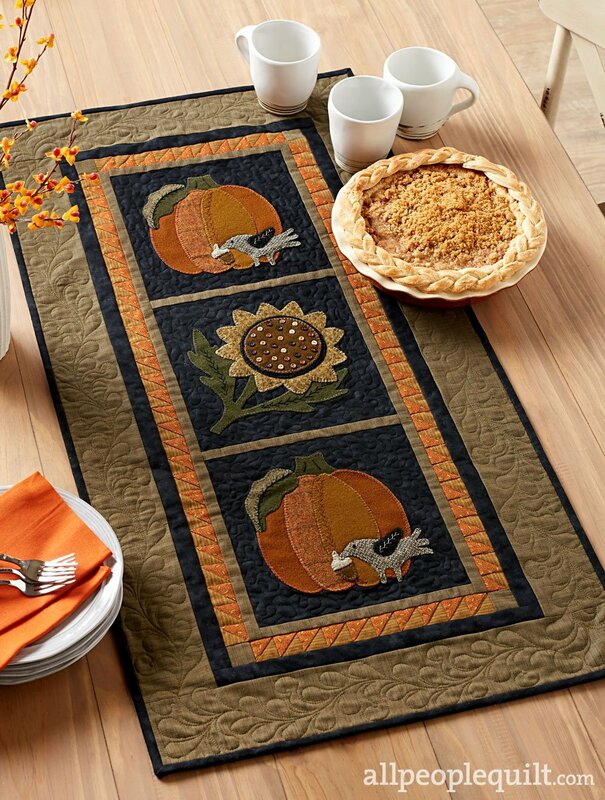 This kit contains the wool and fabric to make this gorgeous runner that is featured in the Fall 2018 issue of Quilts and More. 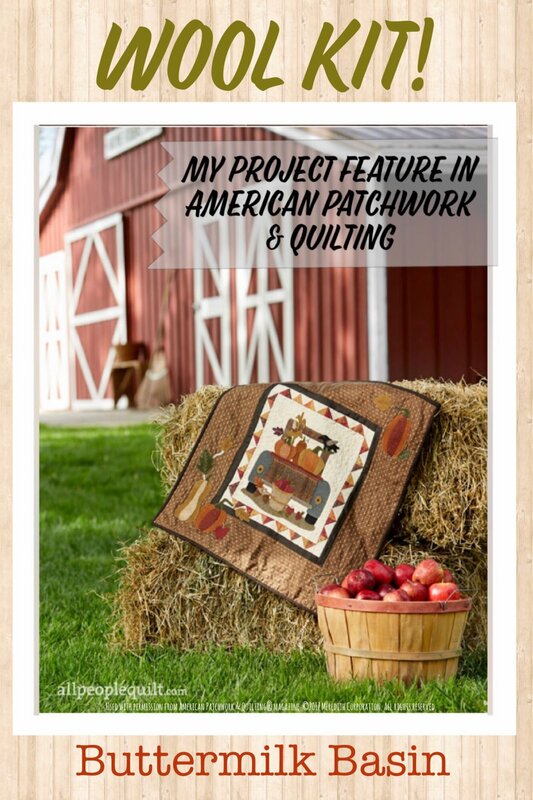 The instructions for the project are in the Fall 2018 Quilts and More magazine, which is sold separately on our website. 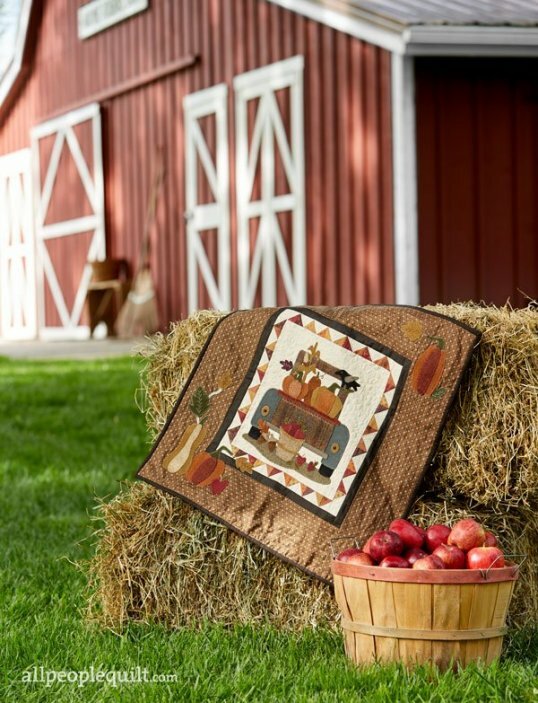 This kit contains the wool only to make the project that is featured in the October issue of American Patchwork & Quilting. 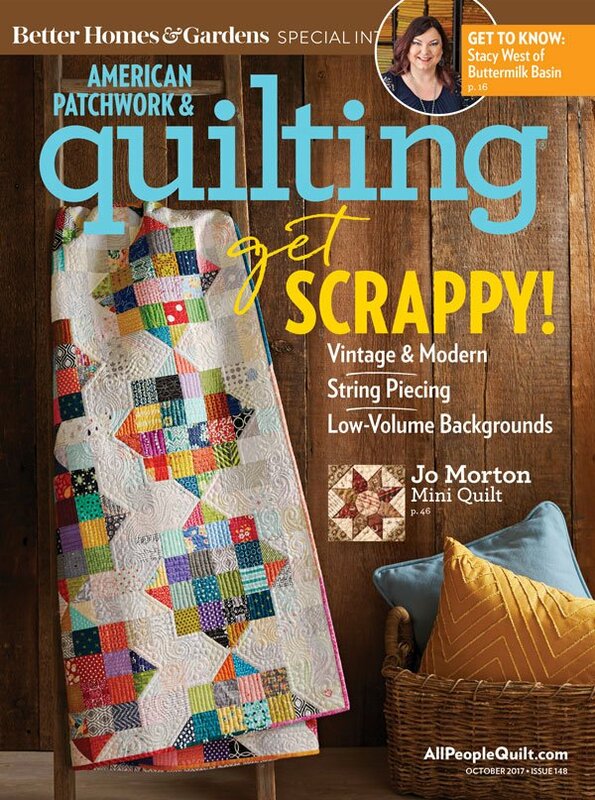 The instructions for the project are in the October issue of American Patchwork & Quilting, that is available to purchase also. Please let us know if you would like Stacy to autograph your copy! She would be happy to! 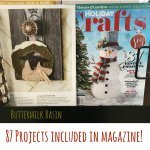 This magazine features a great article about Stacy and Buttermilk Basin, as well as a project designed by Stacy!